Yes, in fact I'd like to know if I can refrigerate or freeze small amounts of bread dough for few weeks, so that I can bake fresh bread within 15 minutes every morning? Because I'm too lazy to spend any more time than that early morning in the kitchen. This bread made in skillet looks good. I've made Naan (using yogurt) in skillet. And inside the walls of pressure cooker too, failed attempt though, hehe. 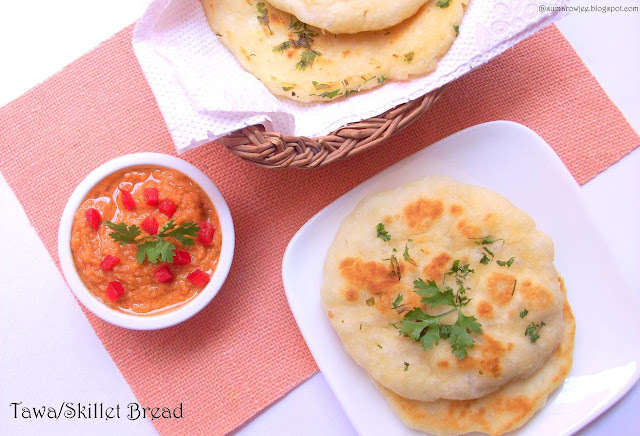 The bread looks quite spongy!I am so tempted to buy the ABin5 book but resisting:).I seldom make naan at home since I am the only one who likes it.No point in making the dough if that is the only thing I'll be eating for the next few days:)). Great idea ! 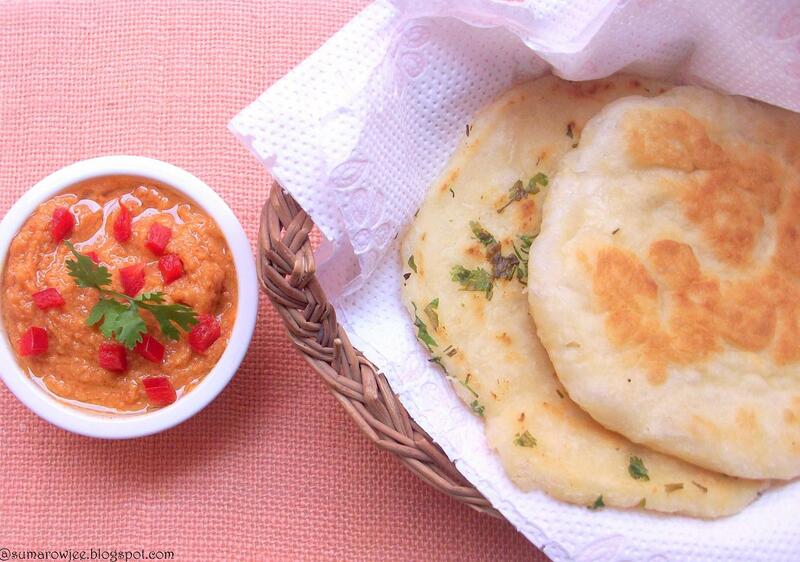 We get this kind of bread, which they call kulcha bread in the bakeries in Ahmedabad. Goes great with choley and other Indian gravies !! 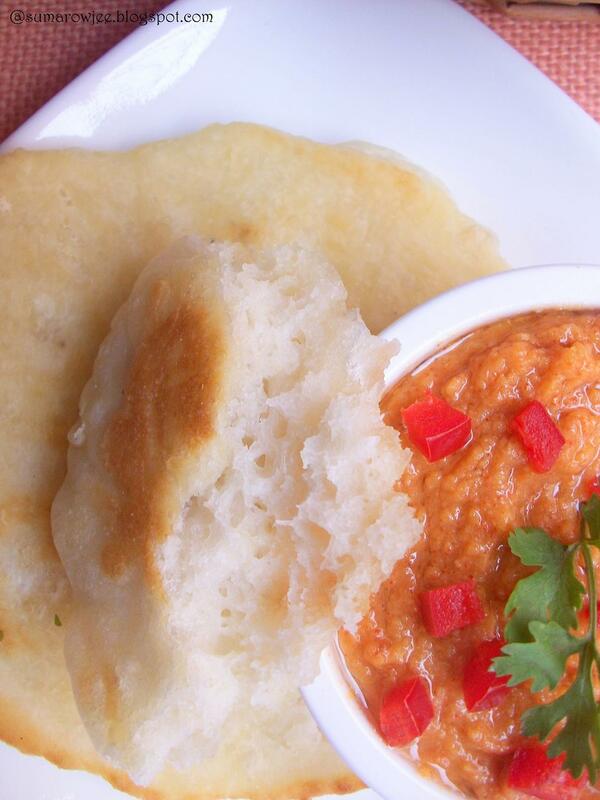 I have tried a no-yeast tava naan from a recipe that a friend gave me...will send you that one, its fast and tastes great ! i am up for anything that saves my time in the kitchen....looks great. Omg, they came out super spongy, seriously feel like having some rite now. The bread looks soft and perfect. 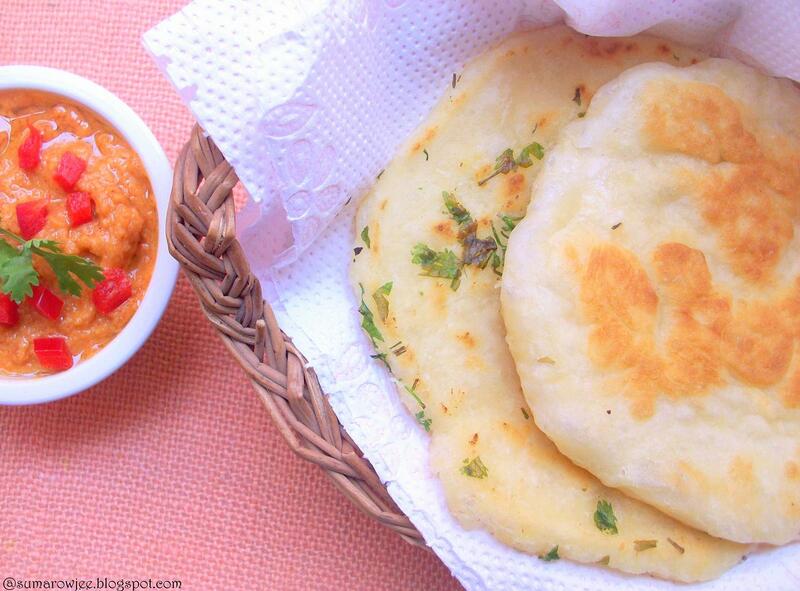 Will try it the next time I have to make naan. Bookmarking this..So soft and delicious. I made this. I guess I tried too many shortcuts and it did not turn out like the picture here, but good nevertheless. The next day the leftover dough was made into breadsticks. They were crisp and nice! I am really keen on trying this but the flour measurement is throwing me off. I have nesting measuring cups which have ml marked on it. How can I convert weight into volume? Kindly enlighten me on this aspect.